Extrobritannia was created and managed by Fabio Albertario and Julian Snape. Initial participants had learned of each other's existence from messages on the Extropy Institute mail list. Regular participants at early meetings included Fabio Albertario, Julian Snape, Amon Twyman, Ben Cunningham, Alex Ramonsky, and Philip Chaston. The first meetings were in the downstairs café of Waterstones Piccadilly bookshop. Conway Hall, Red Lion Square, for more formal speaker meetings. This picture shows an Extrobritannia meeting in Conway Hall from around 2006, on the subject of the Longevity dividend. It is included from a PowerPoint presentation by Anders Sandberg. As several of the original organisers moved away from London, meetings were held less frequently. David Wood, who had been attending Extrobritannia meetings since 2005, volunteered to organise a number, and set up the UKH+ group on Facebook for increased publicity. 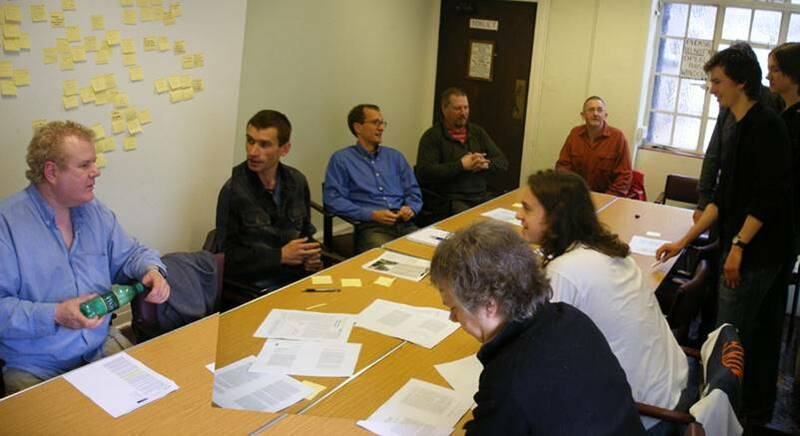 From March 2009, these meetings were also publicised via the London Futurists meetup group. The ExtroBritannia Yahoo group still continues with occasional activity. The TransVisionMM conference held in City University London, 15-16 July 2000, as part of the international TransVision series. The organisers of TransVisionMM included David Flude, Nick Bostrom, and Garret Smyth. This page was last edited on 29 December 2017, at 15:37.